I'm a sucker for kid crafts when my kids are sick. Ellie was sick a few weeks ago with a horrible stomach bug and she kept begging for me to play with her Calico Critters with her in her dollhouse. That quickly involved into requests for lots of things for her Calico Critters, especially beds! It turns out that there are way too many critters in her house and not nearly enough places to sleep. I suggested we try to make some mattresses, and she loved the idea. She lays them all out and tucks them all into bed with scraps of fabric. It's so incredibly cute! 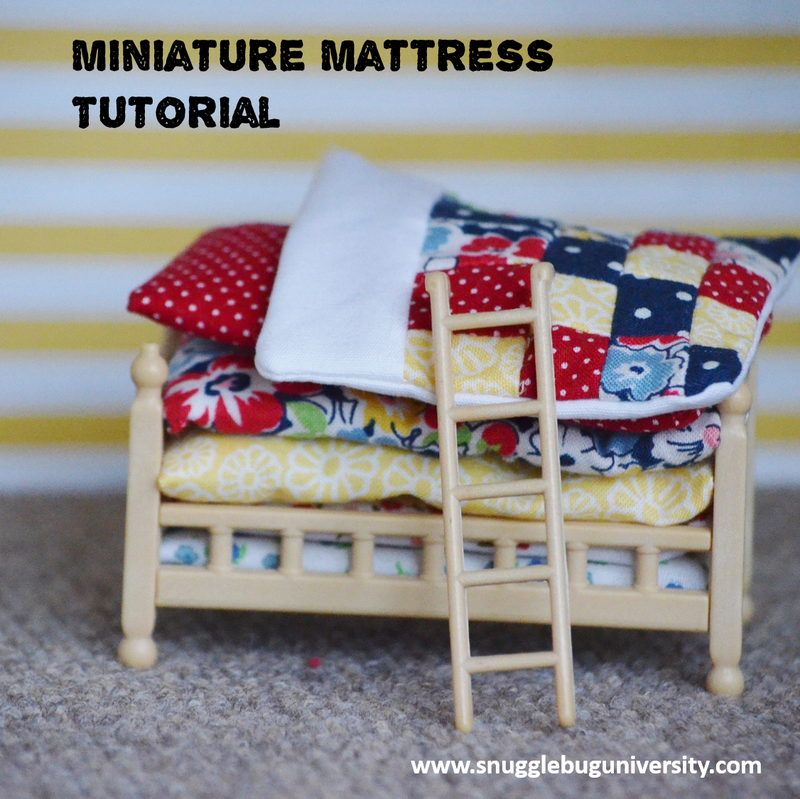 Would you like to make your own miniature mattress? It's really simple! Let's get started! It's basically like making a pillow case slipcover. All you will need is a scrap of fabric and a small piece of quilt batting (or foam). 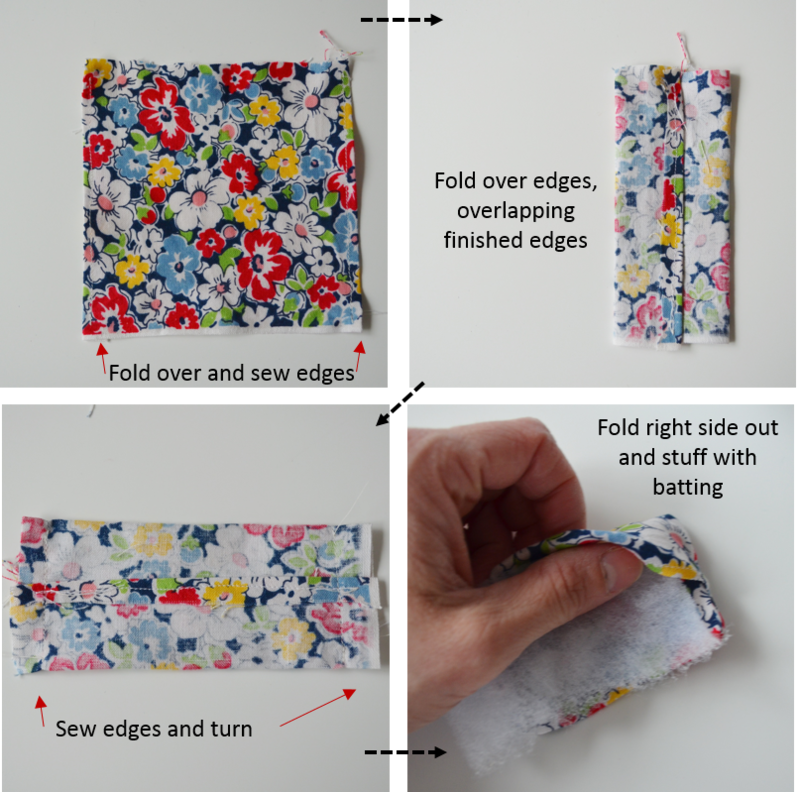 This is a great first sewing project for kids. All you really have to do is sew straight lines, and the whole thing comes together in minutes. They are so easy to make that you'll have a hard time making just one! I hope you enjoyed this mattress tutorial! Do you follow my blog already? Yes, awesome!!! If not, please consider following this blog! I'm really trying to build my followers via email and on facebook, pinterest, twitter, and instagram.